For You who has problem to enable stereo mix in Windows 8, especially Toshiba laptop with Conexant audio driver. I recently found a very good source that help me solve this issue. 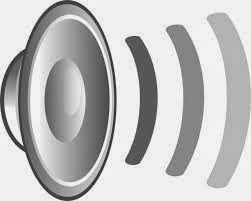 We know that stereo mix is required to record audio from the internal sound. Unfortunately not every sound card (like mine: conexant) support this feature, more over if using windows vista, 7, or windows 8. They don't give simple interface and setting like windows xp. Most of the problem, in fact come from Audio card. I'm using Toshiba Satellite L 840 with Conexant HD Audio driver, most of Toshiba laptops are built with this soundcard. This sound card actually support stereo mix, but it is disabled by default. I don't understand why, obviously most people got confused too. But don't worry we can fix this by manipulating installer file. This is a good source I found after nearly hour of googling, thanks to Prestativo for sharing his brilliant solution. Fix the problem here! Another way to enable stereo mix for windows 8 is by installing third party driver, like Stereo Mix Plus. This software can fix the stereo mix feature of sound card and enhance it (it's not free, trial will be wise to test befor buying). You can try it, but for me the first solution is enough.